What a great way to remember a loved one that was so instrumental to Tobin Hill. Last Friday, October 12, during the Second Friday Social Luis Lopez unveiled two pieces of art to remember Mrs. Alizondo who owned several properties in Tobin Hill. Her son, Luis Alizondo, hired Tobin Hill artist Luis Lopez to develop two art pieces that are now part of the landscape on Dewey. Following the unveiling refreshments and fellowship were enjoyed by many at CASA ROSA, the Gallery of Luis Lopez. Be sure to check out the photos on the THCA Facebook page. The Tobin Hill Community Association Board instituted the Second Friday Social several months ago and it has become a great way to meet and get to know your neighbors. We look forward to future Second Fridays and are always looking for neighbors and/or businesses to host. I look forward to seeing each of you in the near term at one of the many Neighborhood engagements! 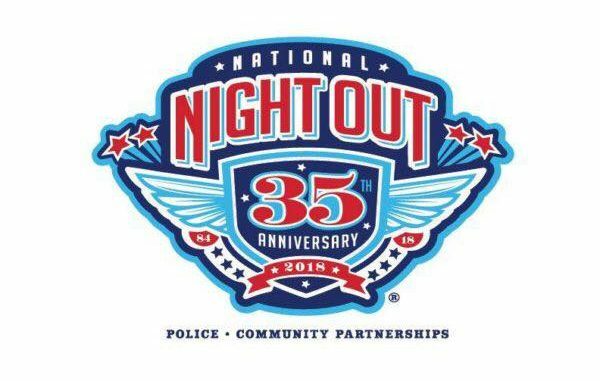 Join our neighbors on E. Mistletoe Ave. for a night of food and friends! Please BYOB. This is a kid and pet friendly event. El Búho, 2710 N. St. Mary’s St.
It’s officially time to start signing up for your 2019 THCA Membership! Start getting your finances in order as we will start collecting your dues for next year now. This Halloween don’t be the person dressed as a non paying member for 2019. You can renew your membership in person at the next Second Friday Social on November 9th, the Public meeting on November 29, by mail, or online here. 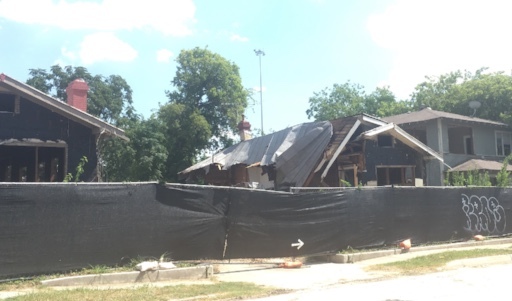 In 2017, Councilman Roberto Treviño initiated a Council Consideration request in response to demolition penalties and neighborhood concerns in San Antonio. One of the recommendations from the Council Committee was for the Office of Historic Preservation (OHP) to further explore deconstruction as an alternative to traditional demolition. The meeting will feature a presentation from city staff, a deconstruction case study from a historic district resident, and an interactive exercise. THCA’s Zoning Task Force meets bi-weekly (as needed) to review upcoming zoning cases in the neighborhood. The next meeting will be Tuesday, October 23rd at 6:30PM. Please contact Zoning Task Force Chairperson, Rick Schell, to confirm the location of the meeting. THCA’s Historic Preservation Committee meets monthly to discuss cases scheduled to go before the City’s Historic Design Review Commission. The next meeting will be Monday, October 22nd at 6:30PM. Please contact Committee Chair, Ricki Kushner, for meeting location details. There is an important election coming up! Be informed! Visit the Texas Secretary of State’s website, www.VoteTexas.gov or call (800)-252-VOTE for more information on this election and to verify that you are registered to vote. You can also visit www.Vote411.org for a non-partisan voter’s guide. We had a really great meeting last week. THCA Board Member, Blayne Tucker, gave an update from the North St. Mary’s Business Owners Association. The business owners along N. St. Mary’s plan to organize a neighborhood trash pick up. They will coordinate with the THCA Board on dates and locations. They are also partnering with Councilman Treviño’s office to get banners for N. St. Mary’s. Eco Centro will be transforming the garden beds outside of the center to include more pollinator plants and food gardens. They have received a grant for a community garden bed and would like to partner with THCA to find a great location. The location should have access to water and will be maintained by volunteers from THCA and EcoCentro. We look forward to scheduling a design charrette for this project in the near future. 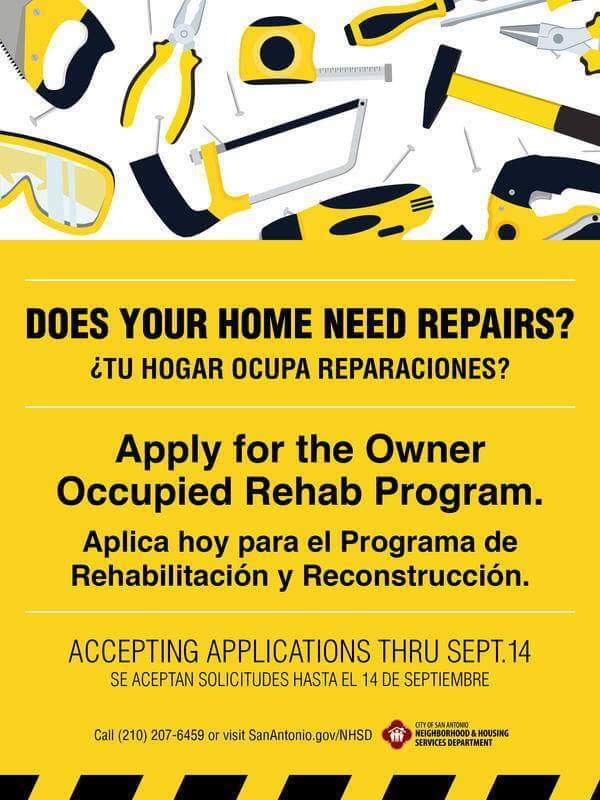 Folks should contact Meredith at EcoCentro by phone at 210-486-0418 or email at sac-ecocentro@alamo.org with any questions. We also heard from the City of San Antonio’s Solid Waste Management Department about updates to pricing and exactly what should go in the blue, green, and brown carts. There is a lot going on in and around the neighborhood in the coming weeks. Read on below for details! The Historic Homeowner Fair is a FREE event hosted by San Antonio’s Office of Historic Preservation that brings together owners of aging and historic homes with local professionals, services, and solutions. The fair provides education to homeowners about caring for and maintaining their properties. THCA will have a table at this event, so make sure to stop by! Come out and have fun with your neighbors!! There will be a firetruck and special guests from the SAFD and SAPD! Metropolitan Methodist Hospital will be providing flu shots at no cost. THCA will be providing hot dogs and non-alcoholic drinks. Generations Federal Credit Union is donating desserts. Texas has an important election coming up this November. Bexar County has had a very low turn out for past elections. We want to change that by reminding you all to exercise your right as a citizen and VOTE! You are welcome to bring a side dish or beverage of your choice. 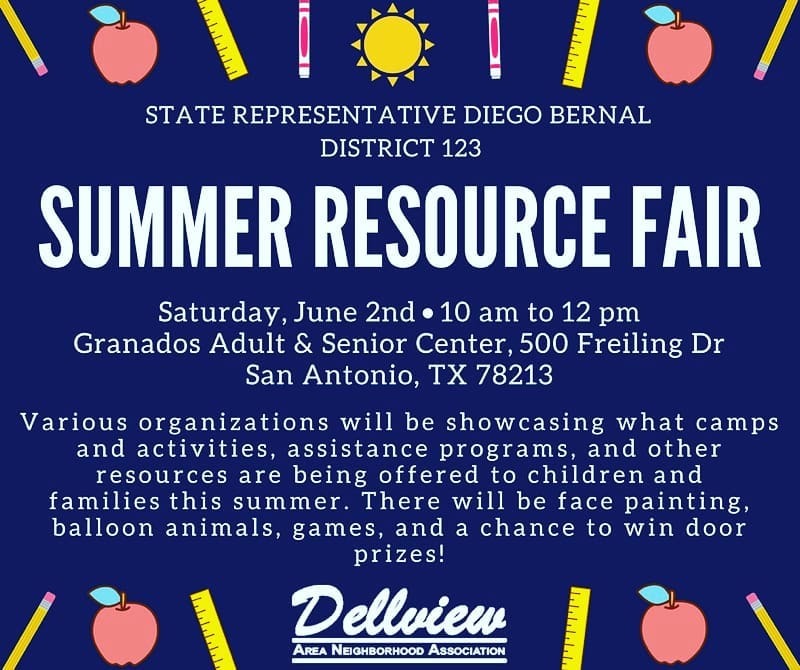 There will be special guests, including District 1 City Councilman Roberto Treviño. Please see our Facebook event for program details. THCA’s Zoning Task Force meets bi-weekly (as needed) to review upcoming zoning cases in the neighborhood. The next meeting will be Tuesday, October 9th at 6:30PM. Please contact Zoning Task Force Chairperson, Rick Schell, to confirm the location of the meeting. THCA’s Historic Preservation Committee meets monthly to discuss cases scheduled to go before the City’s Historic Design Review Commission. The next meeting will be Monday, October 22nd at 6:30PM. Please contact Committee Chair, Ricki Kushner, for meeting location details. Don’t forget that the Nominating Committee is now accepting nominations for the 2019 Board. What’s Going on in the Neighborhood! We hope to see many of you at tonight’s 2nd Friday Social! The Social is BYOB and is being hosted at the Sumerset’s home, 622 E. Locust St. from 6-8pm. See you there! Next week is our September public meeting. 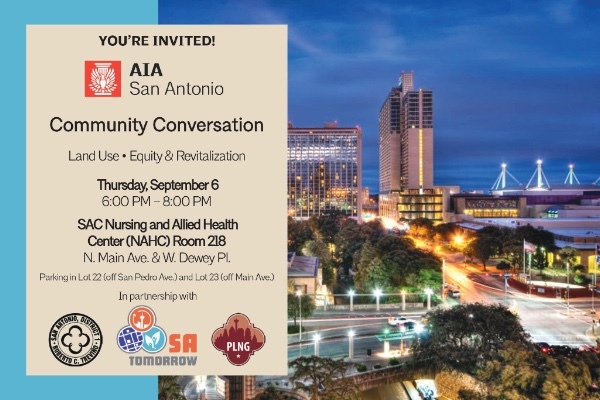 We will meet at EcoCentro at 6:00pm, Thursday, September 20th. Waste Management will be here update the neighborhood on their new billing program. There will also be an update from Eco Centro on a new community garden! There will be a social to follow. The project at E. Euclid and N. St. Mary’s is headed to City Council on September 20 at 2:00pm. The proposal going before Council is for five (5), seven-story buildings, with 30 total units on the property. The City Council hearing is public, so any citizen can attend. If you’d like to speak about the case, please plan to arrive early to sign up, and/or email your support or opposition of the project to our Councilperson, Roberto C. Treviño, by September 19. THCA’s Zoning Task Force meets bi-weekly (as needed) to review upcoming zoning cases in the neighborhood. The next meeting will be Monday, September 24th at 6:30PM. Please contact Zoning Task Force Chairperson, Rick Schell, to confirm the location of the meeting. THCA’s Historic Preservation Committee meets monthly to discuss cases scheduled to go before the City’s Historic Design Review Commission. The next meeting will be Monday, September 24th at 6:30PM. Please contact Committee Chair, Ricki Kushner, for meeting location details. We had a great turnout at our last THCA 2nd Friday Social at Tycoon Flats. Thank you to the Hartman’s for providing appetizers for everyone! Tobin Hill artist Christine King has submitted a design to the Fiesta Commission for the 2019 Fiesta poster. The Fiesta Commission is hosting an event called Ten2One to showcase the final 10 posters entered into the contest. The Ten2One event includes voting for most popular design (with an award for the winner) for the 2019 Fiesta poster. The event is open to the public but registration is required. The details can be found at fiesta-sa.org. The date is August 29 from 5-7pm. Please RSVP no later than August 24, and come support our neighbor! 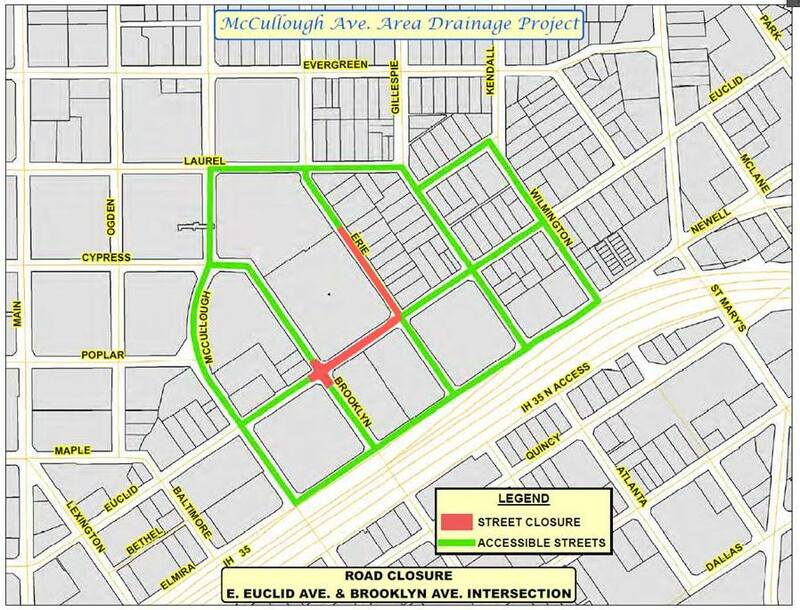 The City of San Antonio’s Transportation and Capital Improvements department has sent out an update on the McCullough drainage project. These are the street, sidewalk and curb improvements along Euclid, Erie, and Wilmington streets. Click here to read about what has been completed and what is still to come. 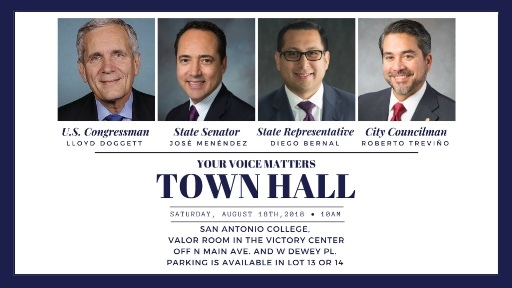 Don’t forget that this weekend, Councilman Treviño, State Rep. Bernal, State Senator Menendez, and Congressman Doggett will be hosting a Town Hall this Saturday, August 18 at 10:00 AM, here in Tobin Hill at the SAC Victory Center on N. Main and Dewey Place. The developer of the property has begun demolition on the houses. THCA was able to get a company to salvage many of the materials from the houses for future use. Our Zoning Task Force has seen a few different versions of a site plan for the project. Currently they are asking to build five buildings, each 8 stories tall, with 25 total units. This would require the property to be rezoned. The project is scheduled to go before the zoning commission this Tuesday, August 21 at 1:00PM. The hearing is public and citizens are encouraged to attend. 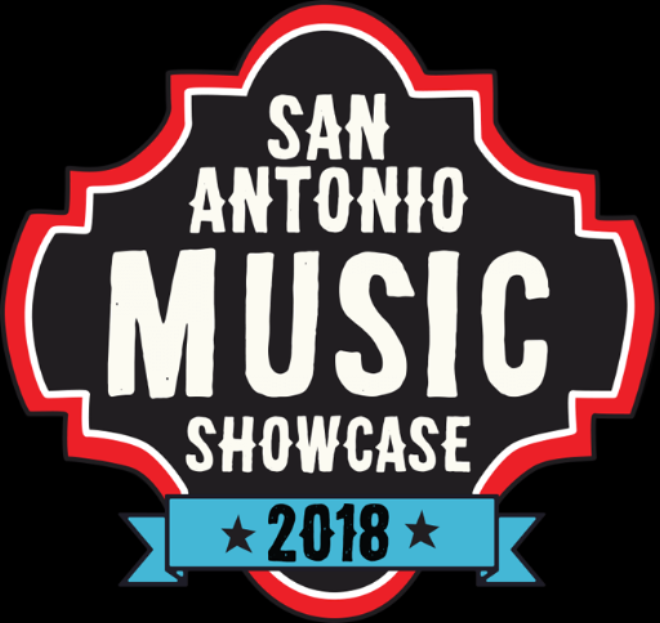 The address is 1901 S. Alamo. If you would like to comment on this case, you may do so in person (please arrive a few minutes early to sign up to speak), or by emailing the case manager, Kayla Leal, at kayla.leal@sanantonio.gov. The case number is Z2018250. 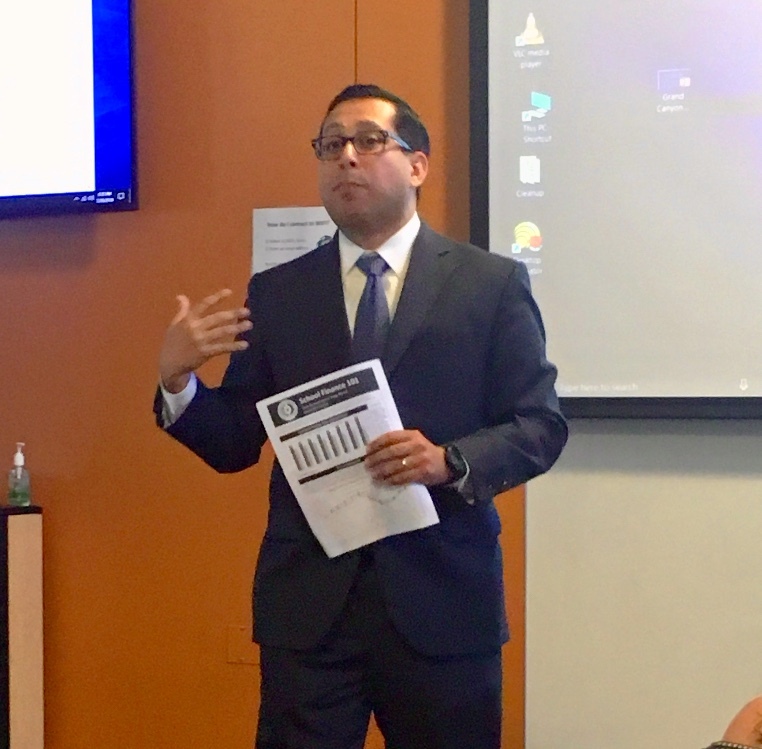 Mayor Ron Nirenberg created the Mayor’s Housing Policy Task Force in August 2017, with the charge to develop a framework for a comprehensive, compassionate housing strategy for San Antonio. 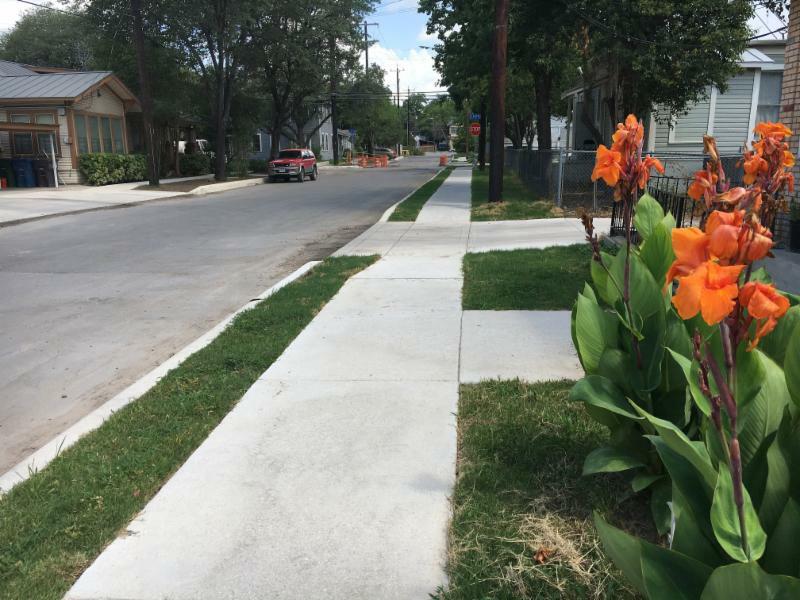 After a year of collaborative work by the Task Force, five Technical Working Groups, and community at large, San Antonio’s Housing Policy Framework was released this week. Click here to read the final report. Thursday, August 16th: Morgan’s Wonderland – 5:30 p.m. – 8:00 p.m.
Monday, August 20th: Hardberger Park Urban Ecology Center – 5:30 p.m. – 8:00 p.m.
Tuesday, August 21st: Palo Alto College Student Center (Evento en Español) – 5:30 p.m. – 8:00 p.m.
Saturday, August 25th: Woodlawn Lake Park – 9:00 a.m. – 11:00 a.m.
Tuesday, August 28th: Cherrity Bar (Young Professionals Night) – 5:30 p.m. – 8:00 p.m.
Thursday, August 30th: Texas A&M University-San Antonio Vista Room – 5:30 p.m. – 8:00 p.m.
September THCA Public Meeting – Updated! 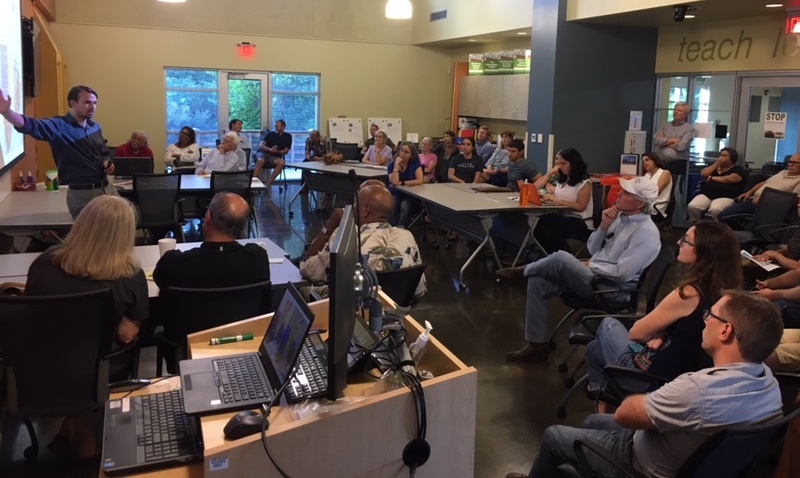 Last night THCA held a special public meeting to answer questions and get community input on two important issues in Tobin Hill. The first issue concerned the four houses on E. Euclid and N. St. Mary’s Street. These are the four houses surrounding the boxing gym. The owners of the property recently applied for demolition permits on the homes to make way for a new shipping container housing development. It is still unclear what the density or size of the development will be, but the developer has applied to have the properties rezoned from commercial and residential to Infill Development Zone (IDZ). Three of the properties being considered for demolition are on Euclid (photo from Google Maps). The fourth house is on N. St. Mary’s, pictured at the top of the post (photo courtesy THCA Historic Preservation Committee). 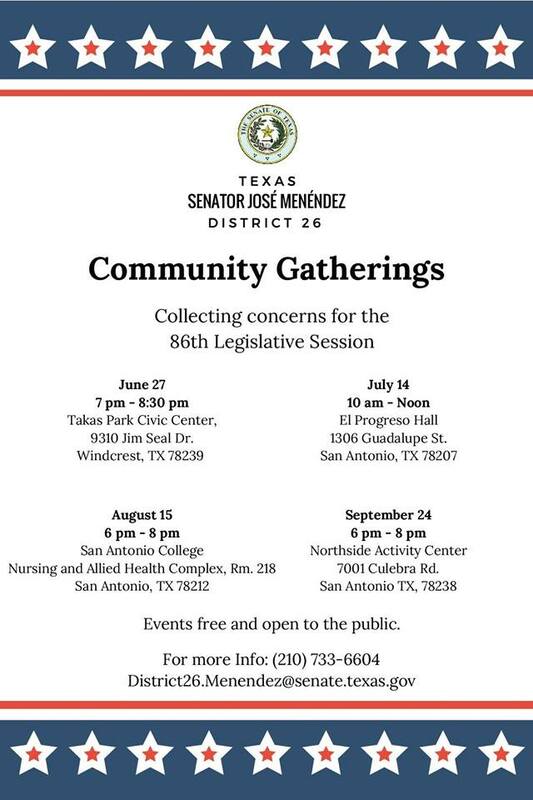 THCA is working with the owners of the homes to have them moved to other vacant lots within the neighborhood if possible. There were many good questions asked during the meeting, and THCA will reach out to the developer to find answers. We will continue to keep the residents updated as the process continues. The second part of the meeting was regarding the Midtown Regional Center, which is part of the SA Tomorrow Comprehensive Plan. Tobin Hill’s Neighborhood Plan will be included in the Midtown Plan. Should there be any conflict between the Neighborhood Plan and the overall Midtown Plan, the Midtown Plan will overrule the Neighborhood Plan. Finally, we want to remind everyone about tomorrow’s LGBTQ PRIDE Bigger Than Texas Festival and Parade. The Festival is from 11am to 7pm, Saturday, June 30th. 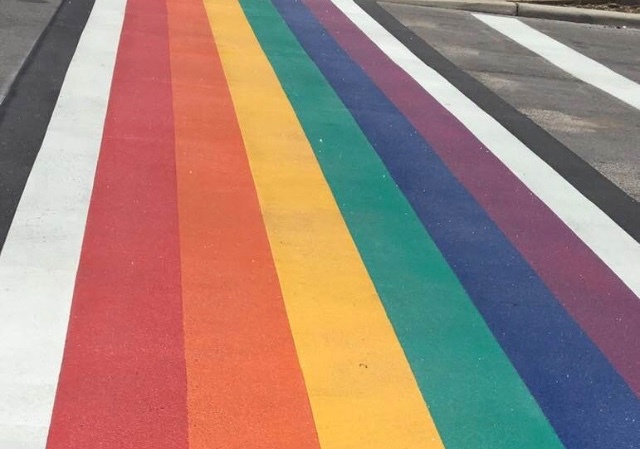 The Parade begins at 9:00 PM at Dewey Place and N. Main Ave. You won’t want to miss getting a first look at the new rainbow crosswalk! June is Pride Month, and Tobin Hill is lucky to be home to Crockett Park where Pride San Antonio is hosting this year’s LGBTQ PRIDE Bigger Than Texas Festival and Parade. The Festival is from 11am to 7pm, Saturday, June 30th. The Parade begins at 9:00 PM at Dewey Place and N. Main Ave. See the event details below, and follow the links for more information! Last week about 40 neighbors gathered for the June THCA Second Friday Social. We welcomed 4 new members at the event! Thanks to the Schell’s for hosting. We look forward to July’s Social at Larkin & Rachel’s home! There are quite a few events coming up in the next few weeks around the neighborhood with lots of opportunity for neighborhood engagement and input. If you’re interested in infill development, you won’t want to miss this Saturday’s Infill Development Seminar at Lift Fund. City representatives will be presenting the proposed new IDZ ordinance to the public for the first time, and will be taking community input. Next week Garrett Phillips, with the City of San Antonio’s Planning Department will be meeting with Tobin Hill about the Midtown Regional Center. This meeting will be focused specifically on our neighborhood. Community input is encouraged, so please come and join the conversation. Bring your neighbor! Read on below for details about events around the neighborhood. Eco Centro, 1802 N Main Ave.
City Planner, Garrett Phillips, will be meeting with our neighborhood about the Comprehensive Plan. 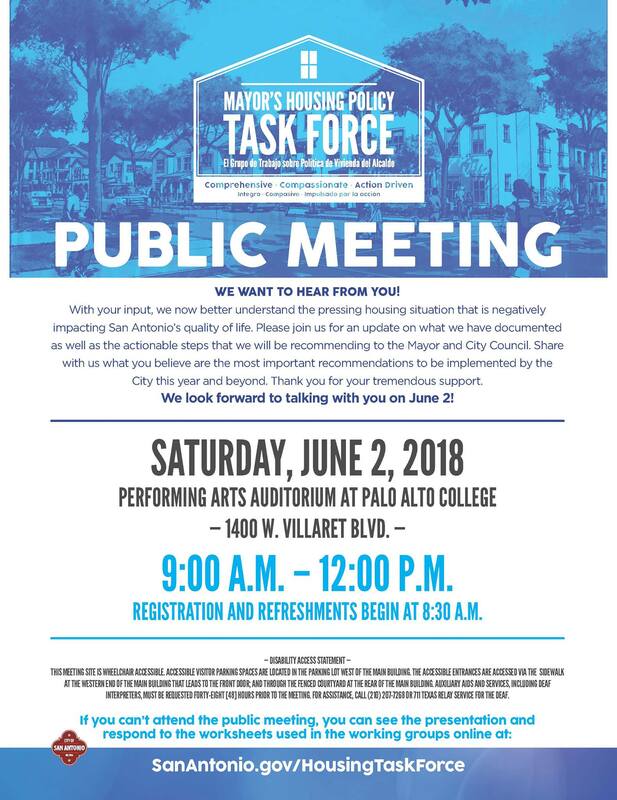 Please come to hear the latest updates and provide your feedback as we work with the City to make sure our Neighborhood Plan is incorporated in the Comprehensive Plan for the Midtown Regional Center. Crockett Park, 1300 N. Main Ave. Pride San Antonio, Inc. hosts the official San Antonio LGBTQ Pride Celebration. Festival with food, merchandise, entertainment, community organizations, and illuminated night parade.